Restoring the Past, Building the Future! Are you still painting your home? Is your home's exterior faded, or dented? Do you have rotten wood on the exterior? Are you looking for an updated look for your home? Enhance your home's curb appeal with the fresh new look of vinyl siding. 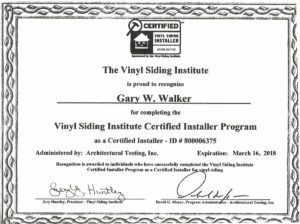 Not only does vinyl siding add value to your home, but it also adds the real value of saving you money in painting costs and repairs. Whether it is a beaded siding look or a dutch lap, you can find it all with us. So whether it is new construction or a remodel, we offer all the major manufacturers such as Certainteed, Norandex, Alcoa, Royal, Mitten, and Vytec. 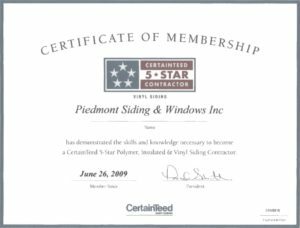 Premium vinyl siding, soffit and aluminum trim from Piedmont Siding and Windows, Inc give your home a freshly painted look, that last as long as you own it. 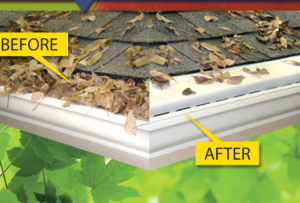 making your home's exterior virtually maintenance free. 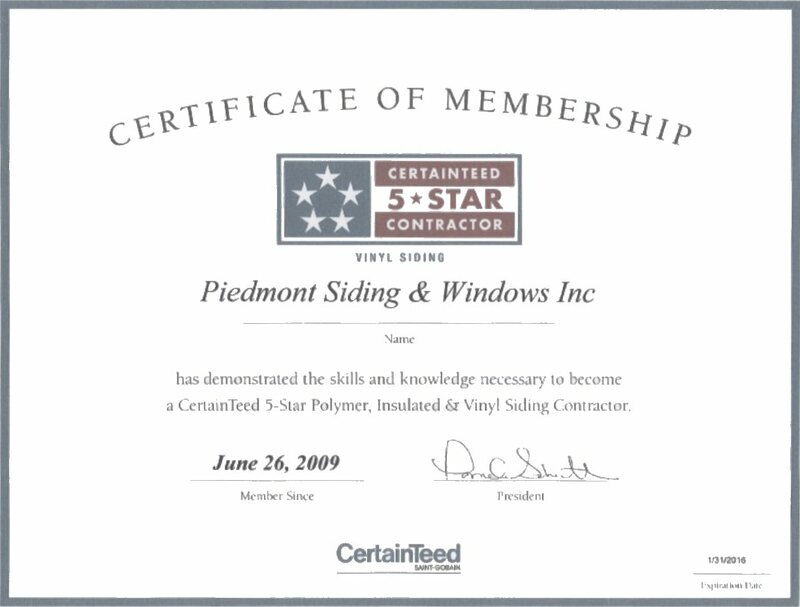 With Piedmont Siding and Windows, Inc you can count on quality materials and installation. You'll get a great price and peace of mind. MainStreet siding offers consistent quality, good looks and is the ideal choice for homeowners looking for value with the benefits of a premium panel. A rail system is about security and style. It should inspire confidence with guests while complementing and enhancing the beauty of your home. It can increase your property's overall value and appearance. 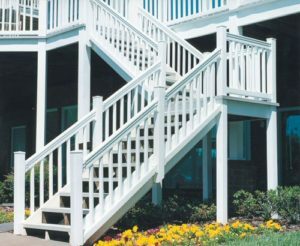 We offer a full line of aluminum and vinyl railings designed to meet required federal, state and local safety codes and look good doing it. A railing can be specially designed to meet any need and project the image you deserve. 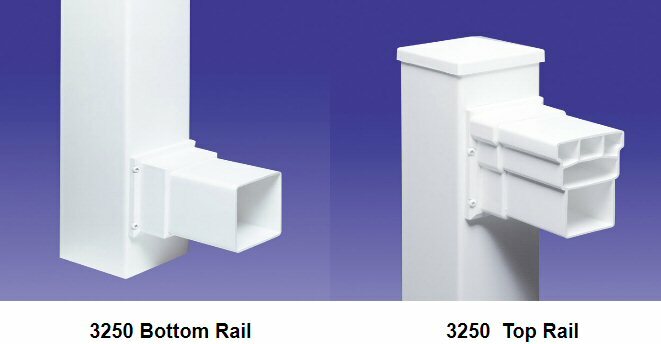 Guttering 5" and 6" seamless aluminum guttering available in many different colors. We hand cut all our corners to reduce to chance for joint leaks. When it comes to windows and doors, vinyl is an all-around excellent choice. Unlike wood, vinyl windows will never rot or require endless repainting. And unlike aluminum, vinyl windows and doors will never pit or flake. Simonton Windows are made from the highest quality vinyl and require almost no maintenance. In fact, an occasional washing will keep them looking like new for years. Plus, they offer increased comfort and lower utility bills, provide headache-free operation and add value to your home. You can't get much better than that. Increased Comfort Simonton vinyl windows offer excellent thermal performance for year-round comfort and to help lower utility bills. Easy Operation The windows open and close easily for maximum performance with minimum effort. Weather ability The premium vinyl used in Atrium windows can stand up to extreme weather conditions year after year. 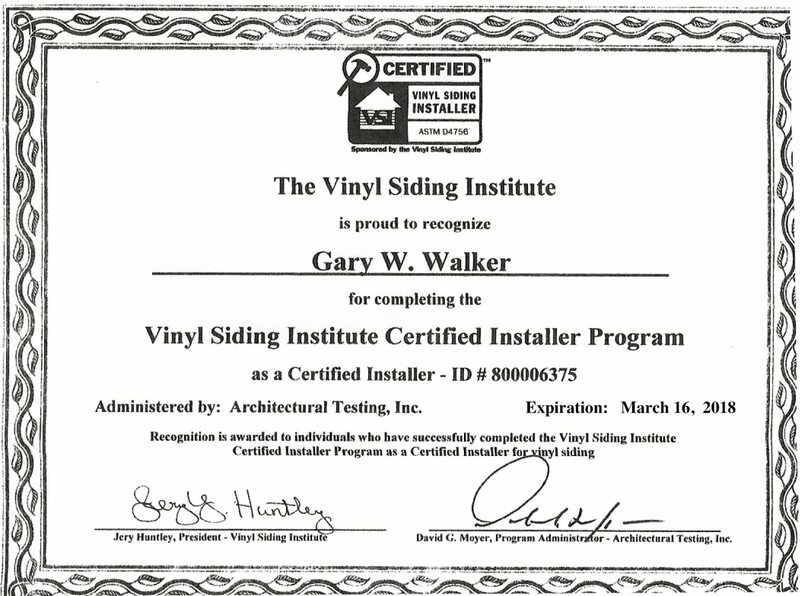 Energy Efficiency Vinyl is an effective insulator. Our vinyl profiles are specially designed to work with advanced glass packages for optimum energy efficiency. Low Maintenance The color of the vinyl is integrated throughout, so frames and sash will never require painting, and they resist pollution, salt spray and dirt. Value Not only do Simonton windows help lower home utility bills, they also add value to your home. Why Invest in Vinyl Windows and Doors? Immediate help in reducing your heating and cooling costs. Added beauty and curb appeal of the home. Low maintenance vinyl windows and doors make your life easier. Energy-efficient window replacements provide immediate added value to your home. Determine how many panes of glass are in the windows. Single-paned windows are the least energy efficient. You can replace them with double- or triple-paned ENERGY STAR compliant windows to enhance energy efficiency and make a home more comfortable during all seasons. Look for condensation inside the glass on double- or triple- glazed windows. This could indicate seal failure. If this is the case, you might need to replace the glass or the entire window. Do your windows open and close easily? If your windows are hard to open or close--or they won't stay open or locked--this could be a sign that the windows need replacing. Have someone stand outside your window. With a small flashlight, stand inside and "travel" around the window's perimeter. If the person outside sees areas of light coming through, this is an indication of seal failure--and probably energy loss. Does it seem especially noisy in your house? If you live near an airport or busy street, consider replacing your windows with laminated glass windows to help reduce noise transmission. Did your neighbors just build a new home that's too close to your bathroom? For added privacy, request decorative obscure glass in your windows. This will allow light to flow into the home, but will keep your privacy! Window shopping is easy when you know what to look for. You'll find many styles, shapes, features and glass packages when looking for windows and doors. But deciding on the perfect choice for your home and family is simple. Just take your time and assess your needs. Consider which style will best suit your home and your family, what thermal performance features will be ideal for you climate, and which glass options will be most appropriate. After you've figures out the basics, have fun with glass and grid options and unique hardware choices.